San Diego, CA (June 2017) – Trade was the original form of commerce, usurped by the sleeker, more modern, and more controllable currency. The primary argument for this reinvention was simple: currency made commerce efficient, while trade, or barter, was clunky and slow. And although trade has persisted since these early roots, it does so largely as a circumstance of luck. If the sun, moon, and stars align a trade is possible and both sides of the transaction are happy. This aside, for centuries economic consumption has been largely binary —transaction via public currency, or nothing at all. BizX represents a third option. Trade and currency combined. It’s official now. BizX is up and running in San Diego. In June the Seattle-based technology company welcomed San Diego as their fourth market (BizX communities are also thriving in San Francisco and Dubai), and did so with gusto — a party at the San Diego Museum of Man replete with business owners, community leaders, and influencers. BizX is a mobile app and website-based community of thousands of local businesses and nonprofits who buy and sell from one another without cash, using a tool called the BizX dollar. Among their roughly 5,000 members are bold-faced names such as Dell Technologies, iHeart Radio, and the San Francisco 49ers, but the heartbeat of the BizX community is the local business owner. BizX launched in the San Diego market with more than 100 inaugural members, including Broadcasting Companies of the Americas, YogaSmoga, Habitat for Humanity, La Jolla Sports Club, Tony Robbins, and the San Diego Film Festival. Through the BizX community, these members earn new customers that they wouldn’t have otherwise, and are able to eliminate cash expenses. To date, BizX members have conducted over $800 million in cashless transactions via the network’s mobile and digital platforms, resulting in $400 million in new business and roughly the same in cash saved. So the launch party was, of course, paid for with BizX dollars. “The BizX community makes it possible for local business owners to get the things that they need, by leveraging what they have. By agreeing to accept BizX dollars as payment from other members for goods and services, BizX members earn new and incremental revenue. This revenue is spent back within the network for things that business needs. Our purpose is to improve the lives and businesses of our members and we’re thrilled to be here in this wonderful city,” says Bob Bagga, CEO of BizX. Smart businesses of all sizes, with expenses necessary to keep their business operational and capacity to spare, engage in barter whenever possible. Bartering what you have in supply for what you need is a high value equation — both sides getting a customer they wouldn’t have otherwise and obtaining goods or services without spending cash. But barter is challenging, and relies on multiple coincidences colliding to complete a transaction. Namely, both sides having what each other want, in the right amount, at the right time. Additional impediments to barter: How do you account for the transaction? And what if your trading partner doesn’t make good on their end of the bargain? For BizX, this relationship between what business owners want to do (barter), vs what they’re able to do (get lucky every now and again) represented a unique market gap and opportunity for innovation. 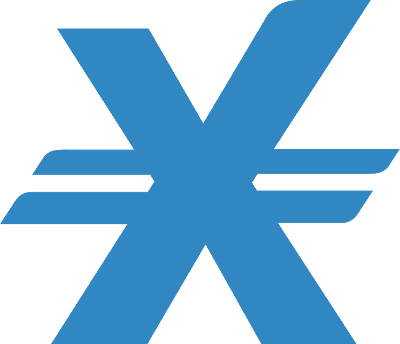 BizX members accept BizX dollars, a currency only existent within their private community, as form of payment for goods and services provided to other members. BizX members have two revenue streams — USD as their primary income, and BizX dollars as their supplementary income — and choose to spend their BizX dollars first. Because spending the BizX dollar is economically favorable to spending the U.S. dollar, BizX members receive new customers via the network. And because BizX dollar spending replaces USD spending, BizX members are able to make real improvements to their cash flow. Through participation in this powerful community economy, BizX members are able to put their checkbooks and credit cards away and earn millions in new customers and cash saved — simply by leveraging one another. “BizX is the ultimate pay-it-forward economy, each member equal parts buyer and seller. We believe that when you bring local business owners together, magic happens. We host the BizX network to inspire collaboration, and we supply the BizX currency as a tool to help these businesses unlock their potential. Butthe magic, that all happens between the members,” says BizX’s Chief Growth Officer, Daniel Kosh. Accounting is simple and BizX sales are recorded as revenue right alongside the business’ current income stream. And BizX purchases are deductible just like any cash expense. The IRS recognizes BizX as a third party record keeper and BizX keeps track of all accounts and issues 1099’s annually. BizX plans to generate an incremental $12 million in economic activity for small and medium sized businesses in the San Diego region, and is putting their money where their mouth is. Central to this ambition is a unique cash-free Line of Credit process, which makes capital available to the business owner at no interest, and to be paid back with future sales from other BizX members. Mike Cully, CEO of the North County Economic Development Council in San Diego, believes the local economy will thrive with BizX. “BizX brings a whole new dimension of doing business to the area, and it can only enhance our growing economy as more and more businesses realize the potential of this significant market,” says Cully. The company expects that the San Diego community will be its fastest growing to date, fueled by upgraded technology and frequent community events, bringing together local business owners from all arenas for one common purpose: Growth.